The Winter/Spring Schedule runs from Monday January 7th to Tuesday June 11th. Click here for PDF version of schedule. Whistler Skating Club offers a number of different streams of figure skating instruction, depending on skaters’ goals and level of interest in the sport. 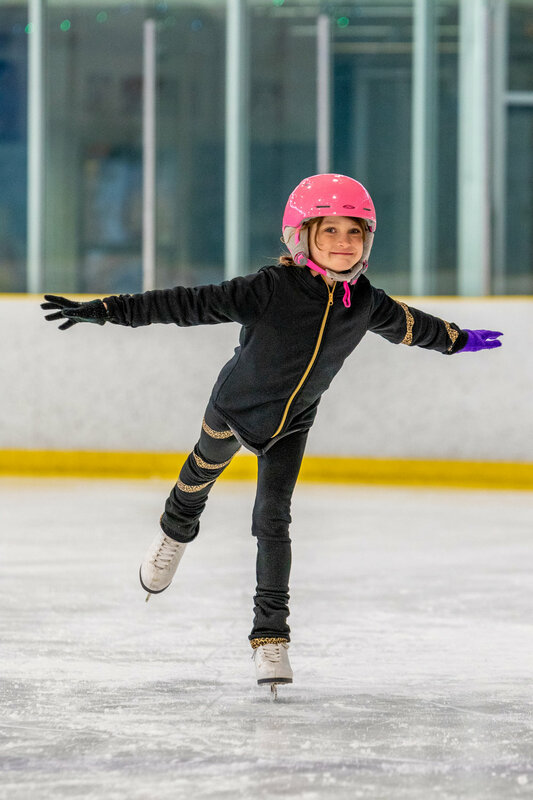 STAR Academy offers opportunities for skaters of all ages to develop fundamental figure skating skills in the areas of ice dance, skating skills, free skate and interpretive skating. Unique in Canada, this program teaches figure skating skills in a group and/or private lesson format in a progressive and sequential manner and includes specifically designed awards and incentives. Skaters have the opportunity to take Skate Canada Tests through a nationally standardized testing system. Once skaters have mastered basic figure skating skills in STAR Academy, they may progress to the STARSkate program. Take it further, enjoy competition in a safe and healthy environment, and develop high level skating skills. STARSkate has been the mainstay of figure skating in Canada for more than four decades. The STARSkate program consists of figure skating skills in four areas – Skating Skills, Ice Dance, Free Skate and Interpretive, with skaters having the opportunity to be assessed (tested) at various level of progression. Once a skater is in the Skate Canada STARSkate Program, there are several of options. They may choose to remain in the STARSkate Program, taking tests (although not mandatory) at organized test sessions and honing learned skills. Skaters may also choose to enter competitions, while still trying Skate Canada tests. Other skaters may feel that they have progressed to a point where they may wish to enter the Skate Canada CompetitiveSkate Program or become involved in synchronized skating, evaluating or judging, or participate as an adult or varsity member. Fitness, fun and friendships while building your skating and synchro skills within a recreational environment. Learn, practice and build on the fundamental skills, basic manoeuvres, formations and transitions of synchronized skating. Our program offers skaters (age 15+ with some skating experience) the opportunity to work as a team, with a skilled coach, for performance and fun.